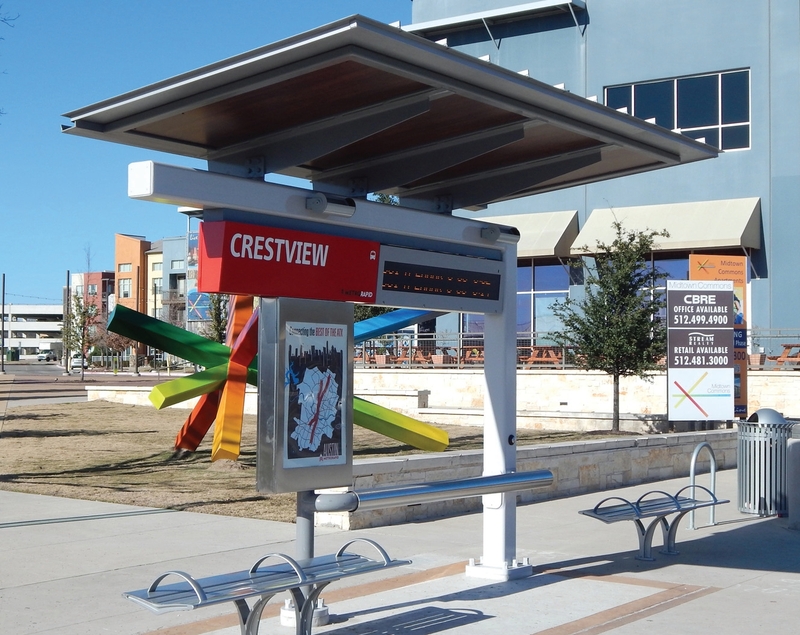 Stonewood Architectural Exterior Panels were installed on Capital Metro-Metro Rapid Line bus stop shelters in Austin, TX. 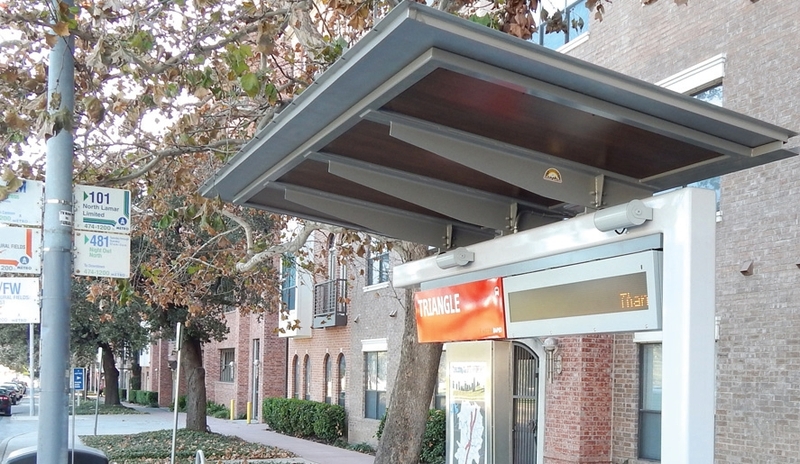 The panels were used to create an overhang to protect commuters from sun and rain. Stonewood Architectural Exterior Panels feature a UV-blocking surface layer which provides added durability and allows panels to withstand all weather conditions. Sizes 8mm; 29"x65" & 33"x65"
Stonewood Panels provide superior durability and feature a UV-blocking surface layer to withstand all weather conditions. 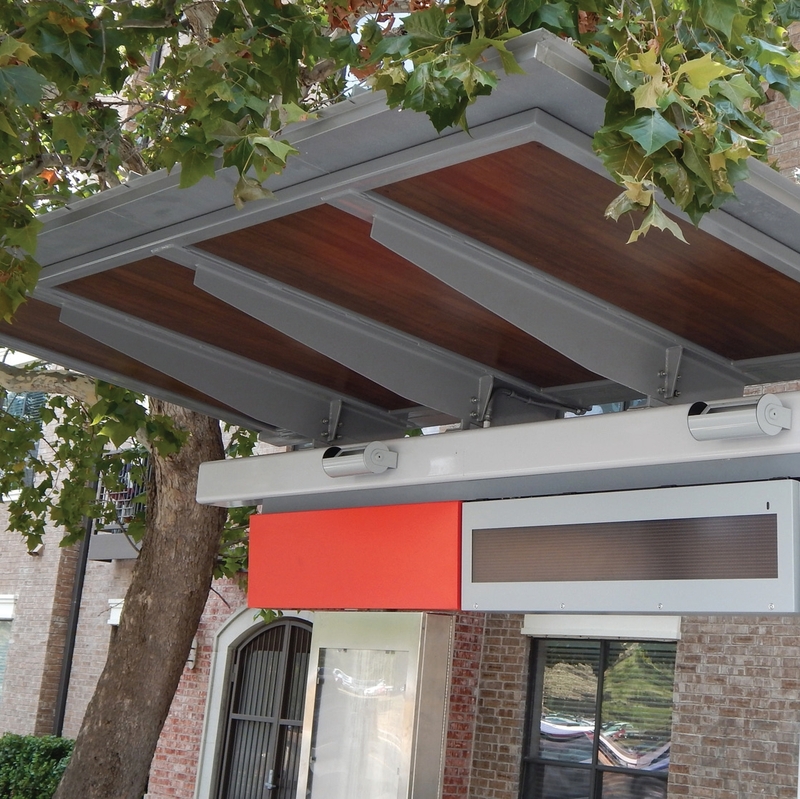 Walnut Woodgrain Stonewood Architectural Exterior Panels were installed on Capital Metro – Metro Rapid Line bus stop shelters in Austin, TX.